Kids On The Move Physiotherapy is a mobile physiotherapy service providing specialist physiotherapy for children aged 0-19 years. Assessment and treatment will take place within your own home environment. Our service is designed to offer stand-alone physiotherapy and/or physiotherapy to enhance your child’s current NHS provision. Kids on The Move Physio was established in 2014 by Grace Chadwick. Grace is a fully chartered physiotherapist who is highly specialised in treating paediatric patients. Grace has over 10 years NHS experience and 5 years private practice experience. Physiotherapy for infants, children and adolescents is very different to physiotherapy for adults. Children are not just small adults. They require treatment that is specifically tailored to meet their neurological and musculoskeletal developmental needs. As a paediatric physiotherapist, Grace has post-graduate training in neuro-development and child health. 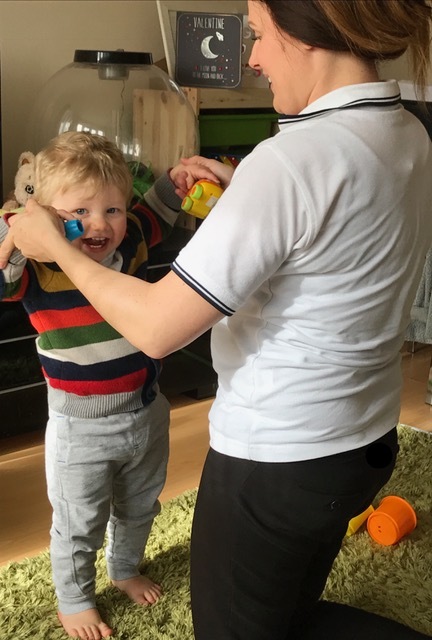 Kids On The Move Physio offers a high quality physiotherapy assessment and treatment service for children living in Hertfordshire, North London and Essex.